You are here: Immigration Vietnam Visa > General infomation > How to apply for work permit in Vietnam? The Department of Labor, Invalid and Society is the only organ who has authority to issue Vietnam work permit for foreigners. 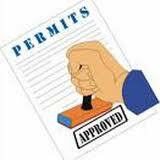 A work permit’s validity lasts 36 months (3 years). After it comes to an expiry date, foreign workers need to reapply for a renewal one. University degree, higher degree, professional skills certificate or 5-year experiences working in the same major. The 5-year working experiences might not be applied for some cases such as: Teacher, doctor, engineer etc. Health check from a qualified hospital for at least 6 months validity. After receiving all of these papers, the Labor and Social Welfare Service of the province/city will inform if they approve your work permit application or any changes needed within 15 days. Previous post: Three most favored street vendors that you cannot miss in Hanoi. Next post: How to apply for Temporary Residence Card in Vietnam?